Several years ago, I went to San Juan, Puerto Rico for an AIGA meeting. I don’t remember the name of our hotel. It was a big Art Moderne building that had the vague feeling of being a grand hotel in Havana long after Castro took over. It was definitely past its prime, but still trying. At one point during a break, Laura Shore called us over to the window. The Caribe Hilton was next door and filled with bright umbrellas, a sparkling pool, and happy people. We were in a dark room drinking expired sodas. 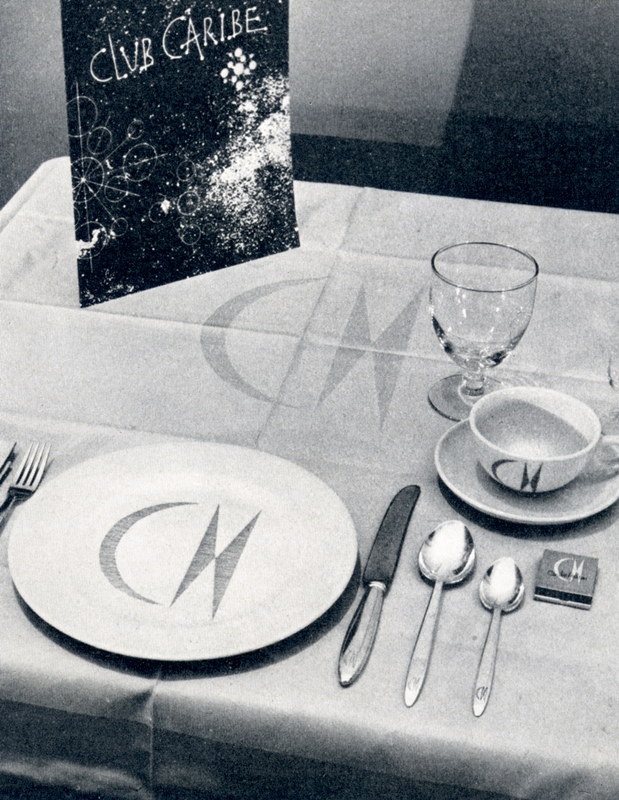 It was reminiscent of the scene in Stardust Memories when Woody Allen is on the sad train, and looks over at another train with people in formal wear laughing and drinking martinis. 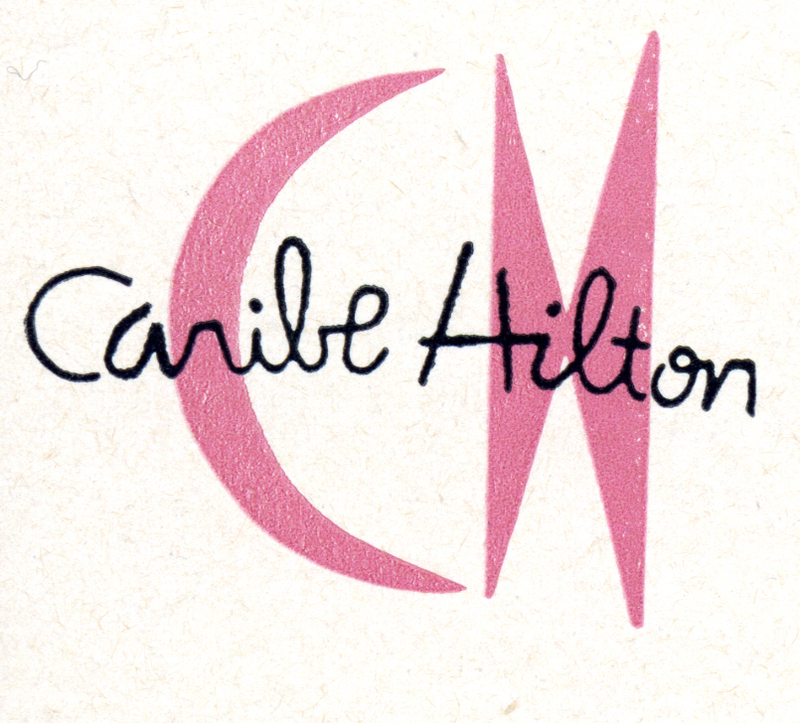 I recently found the identity for the Caribe Hilton designed by Warner Leeds in 1952. Of course, this has long been abandoned. I especially love the odd “space” menu. Someone should make a "Logo Commission" in the spirit of the Landmarks Commission to prevent the loss of such treasures. Of course, business owners probably wouldn't appreciate being forced to use the same logo forever.